We always have the most delicious gift choice for your family and friends. Get them a Lisa’s Gift Card. Maybe they’ll even take you with them! 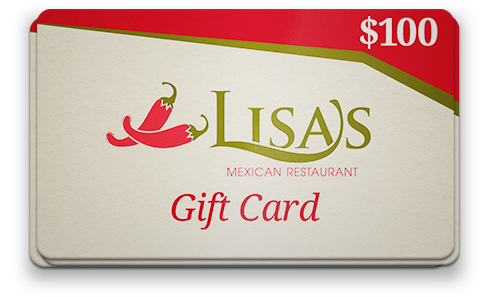 El Lisa’s Gift Cards are a great gift for any ocassion. Simple select the desired Amount, Quantity and proceed to check out.